We utilize the Luminex xMAP system to provide multiplex protein biomarker monitoring, validation and screening. Multiple target proteins can be monitored simultaneously in the same samples. Kits developed by Luminex strategic partners that have received 510(k) clearance from the FDA can be used on the Luminex system for diagnostic purposes. Custom assays can be developed using antibodies supplied by the client or off the shelf assays can be obtained from strategic partners for most biomedical research applications. 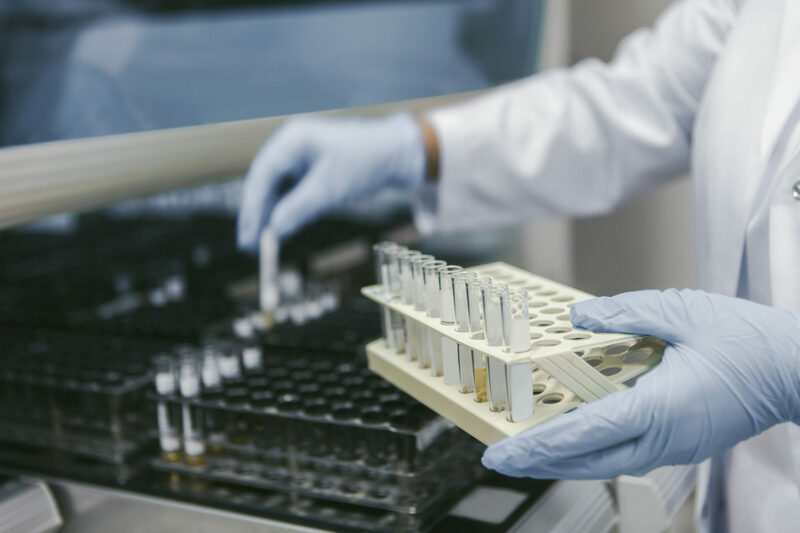 Most biological and clinical samples can be analyzed, including, tissue homogenate, cell lysate, whole blood, serum, plasma, purified proteins and formalin-fixed paraffin embedded samples. Partial list of assays available: cancer markers, cardiac markers, cellular signaling, cytokines, chemokines, and growth factors, endocrine, isotyping, matrix metalloproteinases, metabolic markers, neurobiology, and transcription factors/nuclear receptors. Multiplexing: Up to 100 bioassays per well; including controls. Parallel analysis: simultaneous quantitation of multiple proteins in the same sample. Sample amount: less than 50ul for up to 100 data points. Reproducibility: provides consistent results and allow for easy quality control. Accuracy: Quantitative results over a 3 to 4 log dynamic range, with strong concordance to ELISA and mass spectrometry.